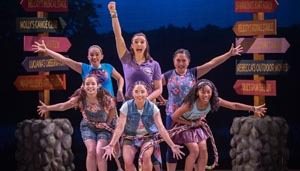 Experience American Girl® in an all-new musical, coming to the Boch Center Shubert Theatre just in time for February school vacation week, Feb. 22-24. AMERICAN GIRL LIVE is a premiere stage production, featuring all-original songs and unforgettable experiences. Come along to sleepover camp with some new friends for an exciting summer away from home. As bold tales of bravery and friendship come to life, iconic American Girl characters lend a hand through story and song. AMERICAN GIRL LIVE comes to the Boch Center Shubert Theatre for six shows on Feb. 22-24. Tickets are on sale now and are available at the Boch Center Box Office, bochcenter.org, or by calling 866-348-9738.